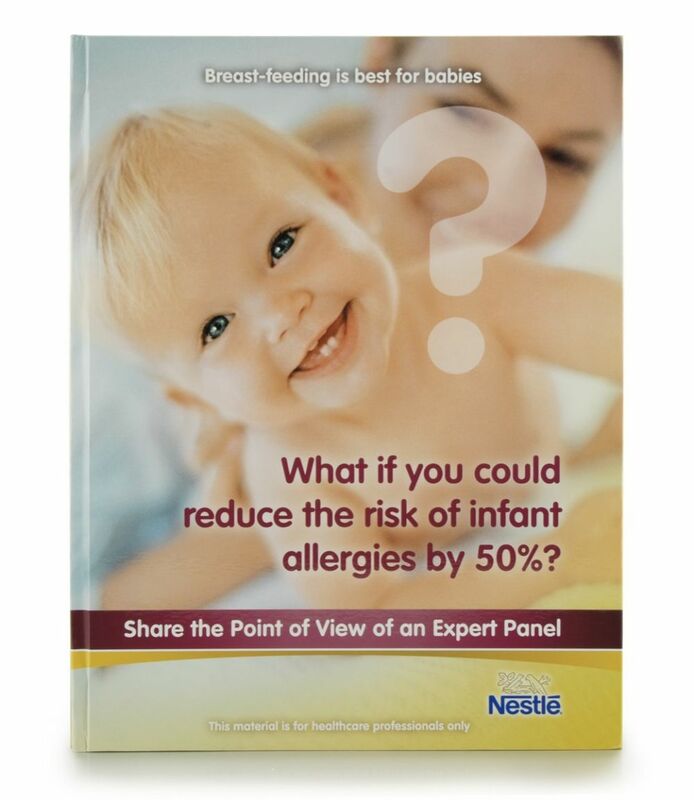 Nestle had spent years and millions of dollars developing a formula that reduced allergies in babies. Nestle had also conducted extensive testing on the new product, including 20 clinical studies. 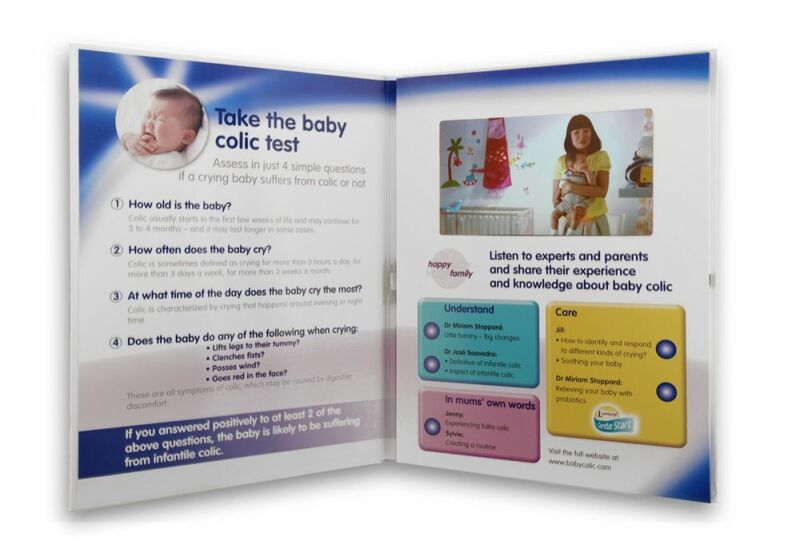 Nestle’s brand and marketing teams were faced with the challenge of creating a marketing brochure that would fully and effectively communicate those results to healthcare professionals all over the globe. 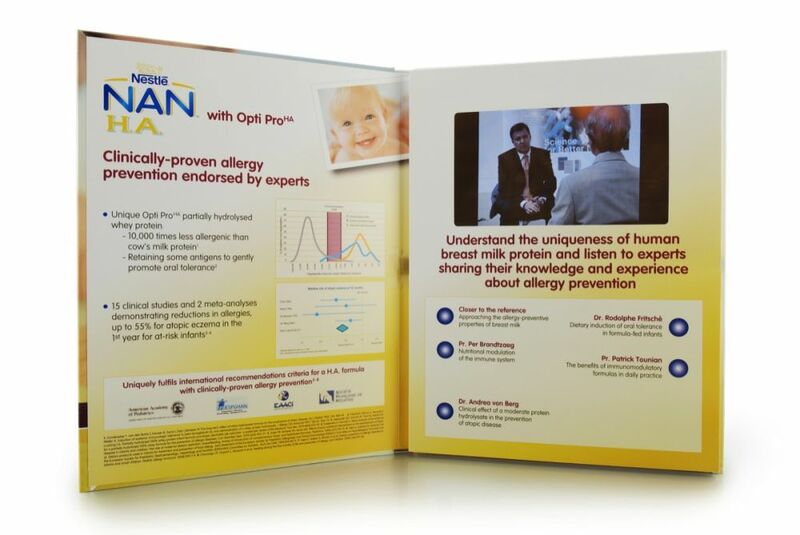 Americhip designed and produced an innovative marketing piece incorporating our patented Video in Print technology. What better way to showcase the positive data and clinical study results than through the use of Americhip’s innovative video books. Using our large 7” Video Screen embedded in an oversized casebound book, Nestle conveyed compelling video stories detailing the new product, sharing results and providing personal case studies from practicing physicians and professors. Given the complex nature of the data Nestle needed to convey, the Video in Print technology served as the perfect vehicle to show and tell just how the new product outperformed any other product on the market. When you need to convey complex information put the unique communication power of Video in Print to work for you. Speak to your audience through a medium that motivates and inspires.